Kumamoto Prefecture, located on the southernmost of Japan's four main islands, Kyushu, boasts verdant natural surroundings and a rich historical heritage. 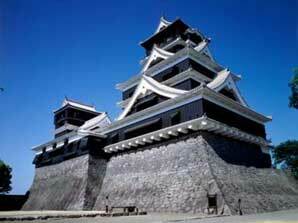 Kumamoto Castle, one of the three most celebrated fortresses in the country, stands as a symbol of the prefecture. The castle was restored to mark its 400th anniversary in 2007. Buildings lost to warfare and the ravages of time were rebuilt using traditional construction methods; now, visitors from both Japan and overseas come to appreciate its awesome beauty. In 2008 it drew more than 2 million visitors, making it the most-visited castle in Japan for the first time in its history. Kumamoto's other attractions include the famous Kurokawa Onsen hot spring resort and Mount Aso, an active volcano with one of the largest calderas, or volcanic basins, in the world. A Magnificent Stone-Walled FortressKumamoto Castle stands in the center of Kumamoto City atop a 50-meter hill. Construction on the castle began in 1607 and took seven years. It occupies a 980,000-square-meter expanse, at the center of which is one large and one smaller keep, or watchtower. Many other structures were also built as part of the castle's original layout, including 49 yagura (turrets), 18 yaguramon (fortified gateways), and 29 castle gates. The castle's splendor is recorded in a variety of pictorial maps and historical documents. Today thirteen of its turrets, gates, and other buildings remain standing in their original form. Visitors are first struck by the castle's imposing stone walls. Designed to serve as both foundations and a means of defense, the walls were constructed using the unique engineering techniques of the castle's first lord, the noted castle builder and warrior Kato Kiyomasa. The walls were built in such a way that they curve gracefully upward, and a closer look reveals that the spaces between the larger stones have been filled with smaller, broken stones. This had two advantages: it increased stability and made the castle easier to defend, as smoother walls eliminated handholds for would-be attackers. Drawing on his considerable experience in warfare, Kato was able to construct a fortress that was truly impregnable. Restored to Its Former GloryThe castle's original keeps burned down in the Satsuma Rebellion of 1877, but in 1960 donations from the public were used to reconstruct them out of reinforced concrete. Later, in 1998, an ambitious plan was put into action to restore the castle for its 400th anniversary in 2007. The painstaking restoration was undertaken using authentic seventeenth-century building techniques and native Japanese timber. In addition to numerous gates and turrets, 2008 saw the completion of the castle's central enclosure, a 2,951-square meter structure which includes the lord's living quarters, the main hall in which guests were received, the tea ceremony room, and the main kitchen. The recreated living quarters of the castle lord are beautifully decorated with wall paintings, and the frame of the building's roof, which consists of enormous logs assembled together by master craftsmen without the use of a single nail, can be viewed from the main kitchen. Underground tunnels running between the castle's great stone walls are among the other architectural highlights. 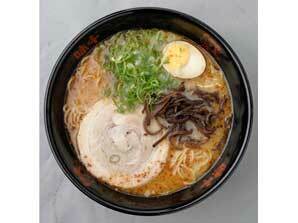 A Live Volcano and Gourmet CuisineAfter exploring the history of Kumamoto Castle, a visit to Mt. Aso provides visitors with a great way to enjoy Kumamoto's other great attraction, its natural beauty. Located just over an hour from Kumamoto City by train, Mt. 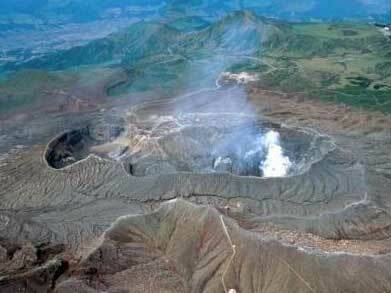 Aso is an active volcano that occasionally spews smoke from its gigantic crater. This enormous caldera measures 18 kilometers from east to west and 24 kilometers north to south, with a total circumference of 128 kilometers. A ropeway carries visitors to a point near the crater and provides a spectacular view of the sweeping expanse of black lava. 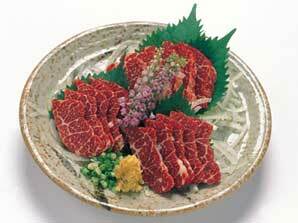 Horse meat sashimi, a Kumamoto delicacy. The prefecture is also famous for its hot spring resorts. Tucked away between mountains on the north side of Mt. Aso is the tranquil Kurokawa Onsen spa resort area, a popular destination among visitors from all over Japan. Traditional ryokan, or Japanese inns, line the banks of the nearby river, and guests clad in yukata (light cotton kimono) can be seen strolling along the riverside paths and moving gaily between the different rotenburo (outdoor baths).